Grape seed extract has emerged as one of the most potent nutraceuticals for overall wellness. They are available in various forms commercially as a dietary supplement in capsules, tablets, and liquid extracts. Setu’s Pressure Pal contains the goodness of Grapeseed Extract along with other great ingridients like CoQ10 and Anthocyanins that help you regulate your blood pressure. Learn more about Pressure Pal, here. 1. Shi J, Yu J, Pohorly J, Kakuda Y. Polyphenolics in Grape Seeds—Biochemistry and Functionality. Journal of Medicinal Food. 2003;6(4):291-299. doi:10.1089/109662003772519831. 3. Shi J, Yu J, Pohorly J, Kakuda Y. proanthocyanidin in Grape Seeds—Biochemistry and Functionality. Journal of Medicinal Food. 2003;6(4):291-299. doi:10.1089/109662003772519831. 4. 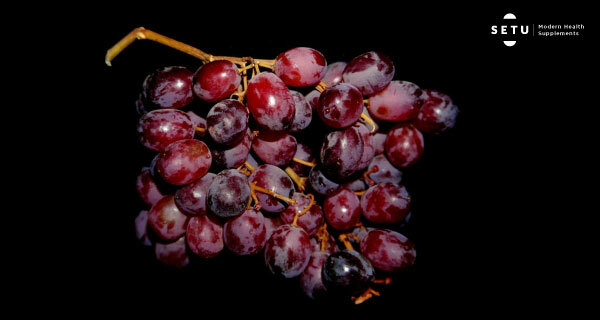 Recent Advances and Uses of Grape Flavonoids as Nutraceuticals. Vasil Georgiev,* Anthony Ananga, and Violeta Tsolova Nutrients. 2014 Jan; 6 (1): 391–415. 5. Grape seed. University of Maryland Medical Center. 2016. Accessed June 7, 2017. Grape Seed Extract: How Healthful Is It?